Recreational weed in California could be soon followed by legal psychedelics, as Californians might soon be able to consume Magic Mushrooms. If California voters decide to legalize magic mushrooms, the state could be the first in the nation do so, meaning the psychedelic mushrooms could be regulated like alcohol and weed. The measure would decriminalize the use of hallucinogenic or magic mushrooms, which contain the psychedelic compound known as psilocybin. 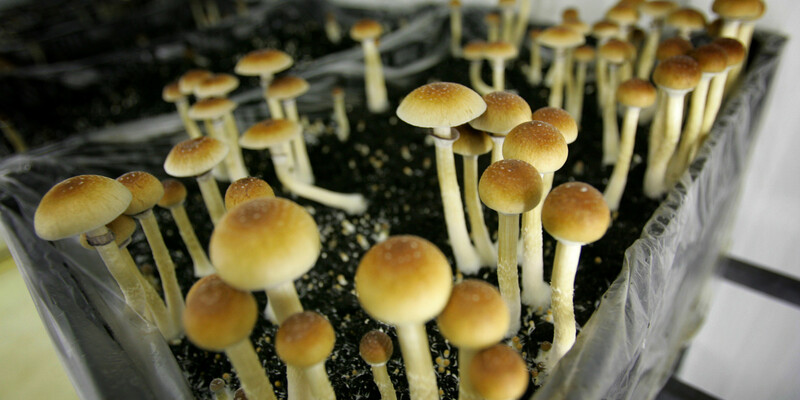 Will magic mushrooms be legalized? While some experts warn psilocybin is a serious drug on a plane much higher than cannabis, that hasn’t stopped Kevin Saunders, a dispensary owner and mayoral candidate from Marina, co-authoring preliminary initiative language, which seeks to legalize the drug for those 21 and older in the state. Saunders said it’s a natural step after California’s legalization of cannabis. First, the supporters need 365,000 signatures, at the very least, to get the measure on a statewide ballot. Will this measure have a serious run for the 2018 ballot? That question has to be asked, as it takes about $2 million to $3 million to collect the 365,880 valid voter signatures that are required to make the ballot. Then, more money is needed, as the organizers would need further cash to run a campaign seeking affirmative votes. Although, as it stands, the proposal’s language needs to be approved for “circulation,” so it could be used to collect those signatures.